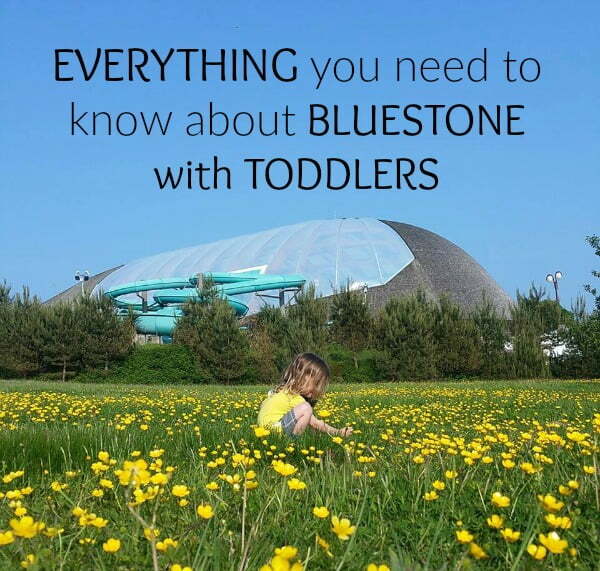 In this article, I’m going to give you a review of Bluestone and answer all your questions about holidays to Bluestone with toddlers, so you can decide if this is the right break for your family. 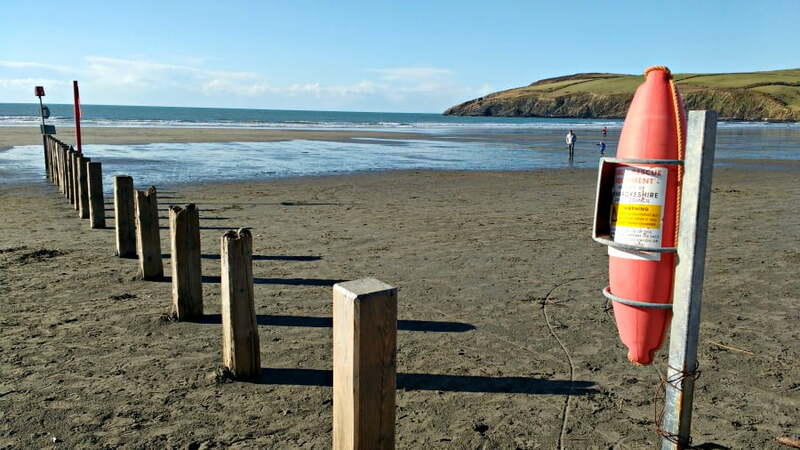 Bluestone is a holiday resort set in 500 acres of woodland, and is within reach of 50 beaches as well as the Pembrokeshire Coastal path. 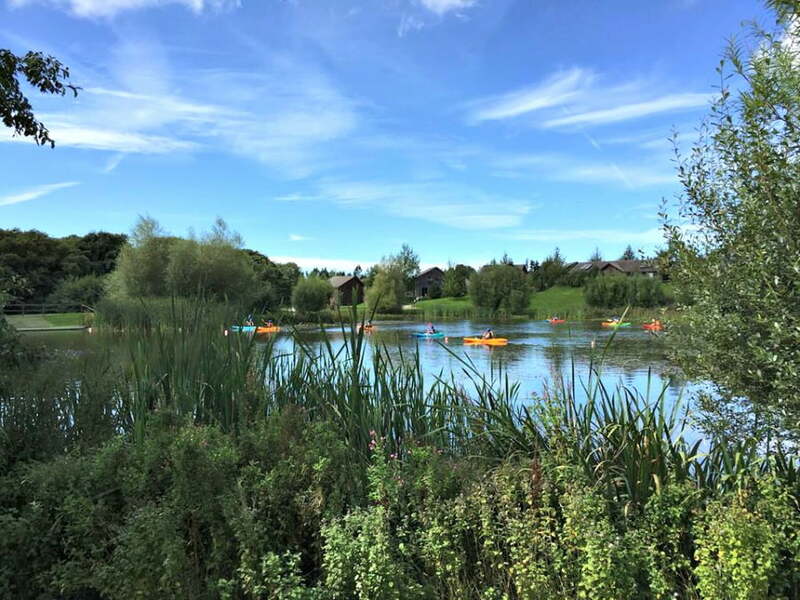 There is a lake, a Village where you can stock up on essentials and grab something to eat, and an Adventure Centre with an indoor soft play. 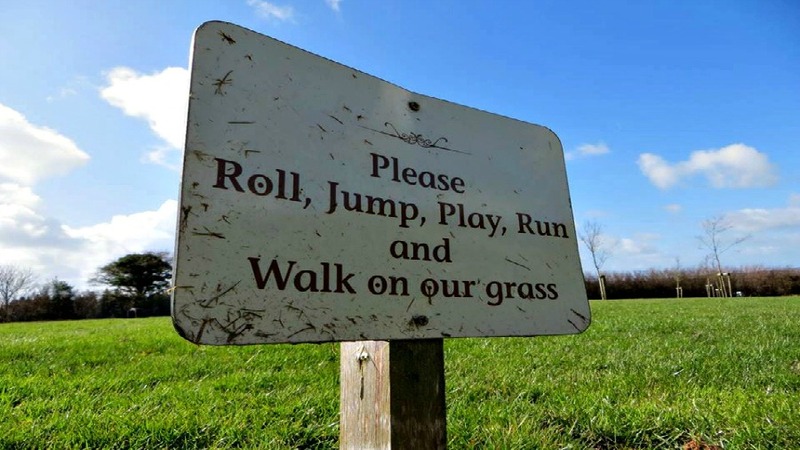 Bluestone is all about ‘free range children’ – so encouraging families to get outside, get muddy and experience the forest and nature. If it does rain (which it will do in Wales! ), there are loads of things to do inside, and plenty of places to visit in the local area – more on that later. Basically, you can do as much or as little as you like at Bluestone. There are plenty of free activities for toddlers, but there are also additional ones you can pay for too. 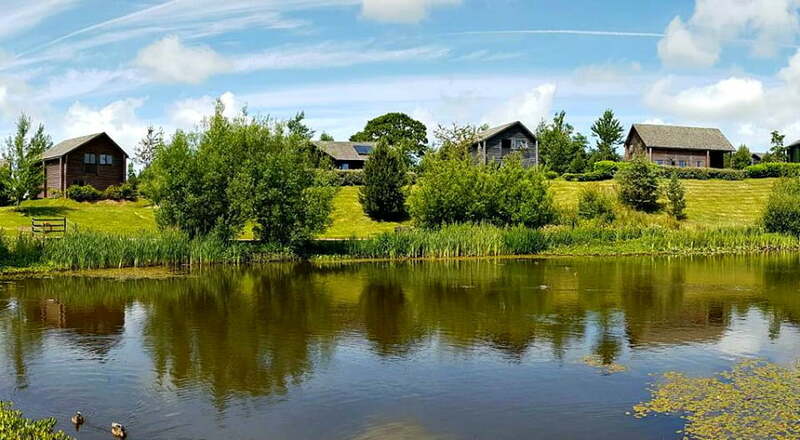 If you are looking for somewhere to go on holiday with a toddler in the UK, then you should definitely consider Bluestone. 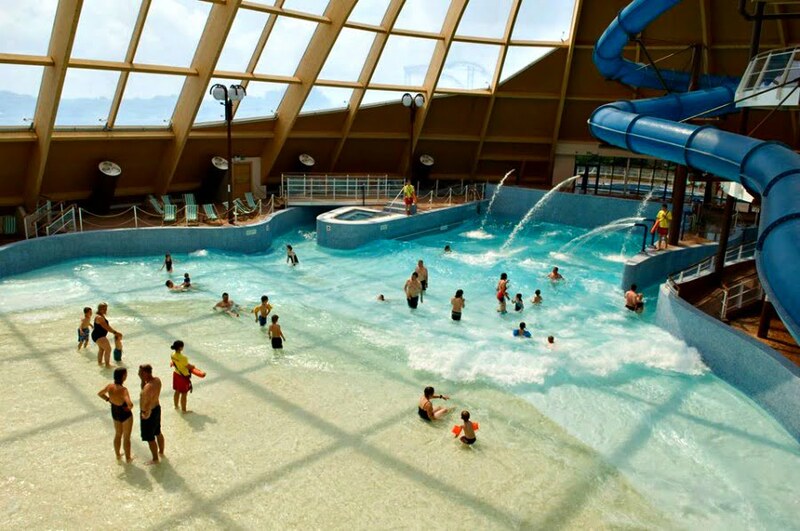 They have some really great value mid week Woody Wilds Toddler Breaks starting from £199 per family. 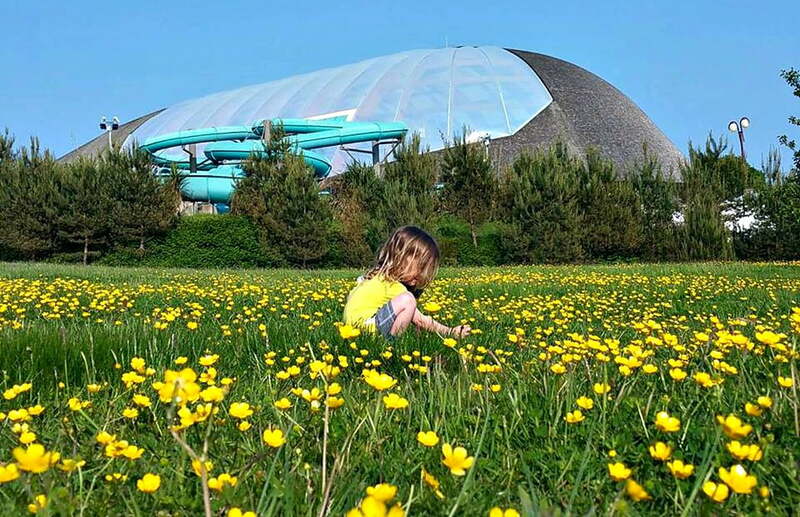 Woody Wilds breaks include 4 nights accommodation, entry to the Blue Lagoon water park, Adventure Centre and lots of activities including meeting the Woody Wilds characters. #1 Huwie The Hedgehog – Go on a hunt and follow the clues to find Huwie The Hedgehog. Toddlers will love having their photo taken with him afterwards! #3 Lola the Ladybird Dancing – Learn the Best Friend dance (amongst others!) at this interactive toddler dance session. There is a huge range of lodges and cottages at Bluestone – all of which are perfect for holidays with a toddler. 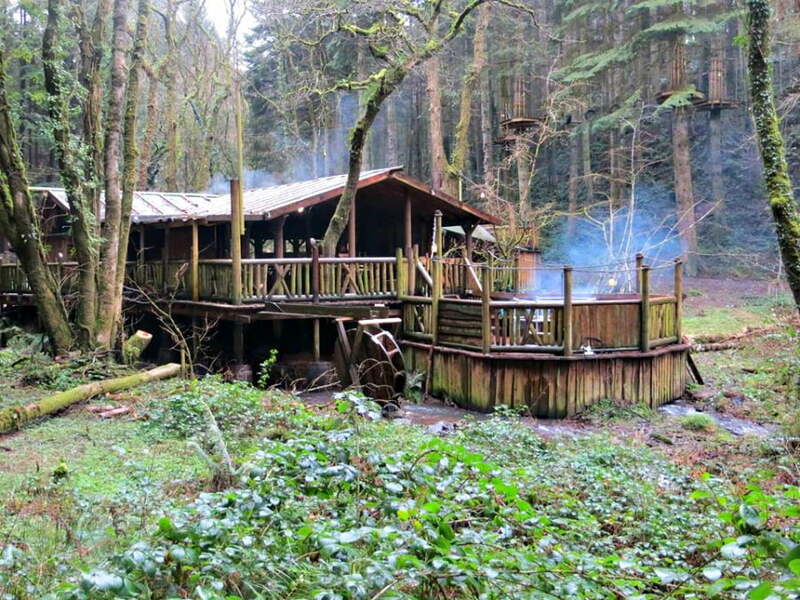 All the lodges are luxurious, and have a digital TV, DVD player, towels and bedding. There is a modern well equipped kitchen with pots and pans, a kettle, microwave, dishwasher, fridge and freezer compartment. Cots and highchairs are included in all cottages and lodges too (bring your own cot linen though). 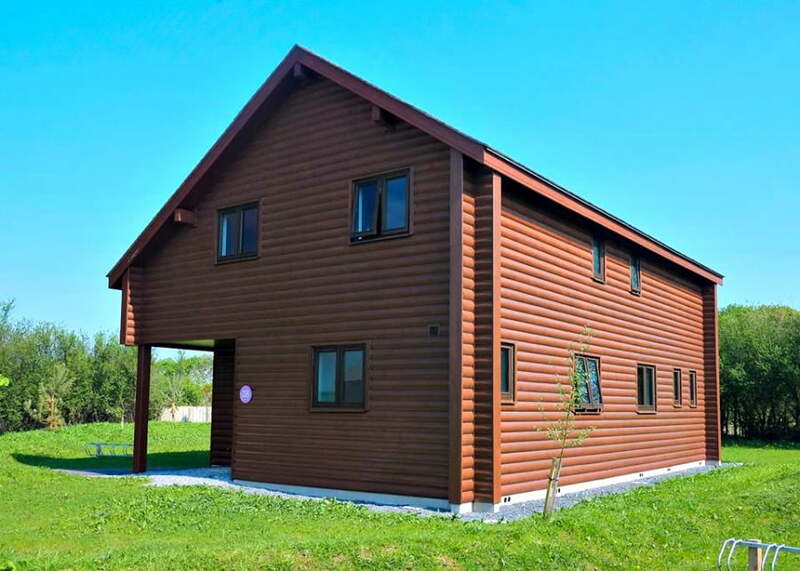 2 storey lodges have stairgates included. A family going on their first holiday with a baby or toddler could easily stay in a 1 Bedroom Cottage. These cottages are in a central position in the main village, and are open plan with a double bedroom and ensuite bathroom. There is plenty of room for a travel cot in the double bedroom. The 1 bedroom cottage at Bluestone is really close to the bakery, pub, shop and off licence, which is handy in case you need to pop out for baby supplies. Depending on the age of your children, you have a few accommodation options. Smaller families may like the Caldey Lodges which are semi detached with 1 double and 1 twin bedroom and a wet room. 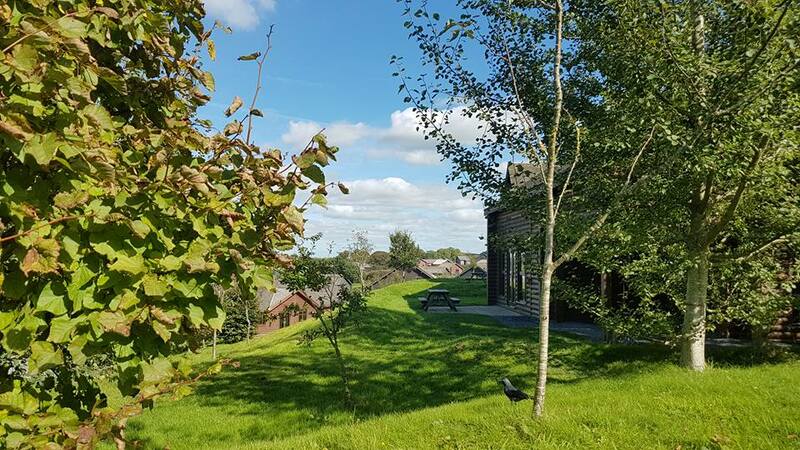 You can get interconnecting Caldey Lodges (payable extra) so you could book neighbouring lodges if you are going with other families or grandparents. 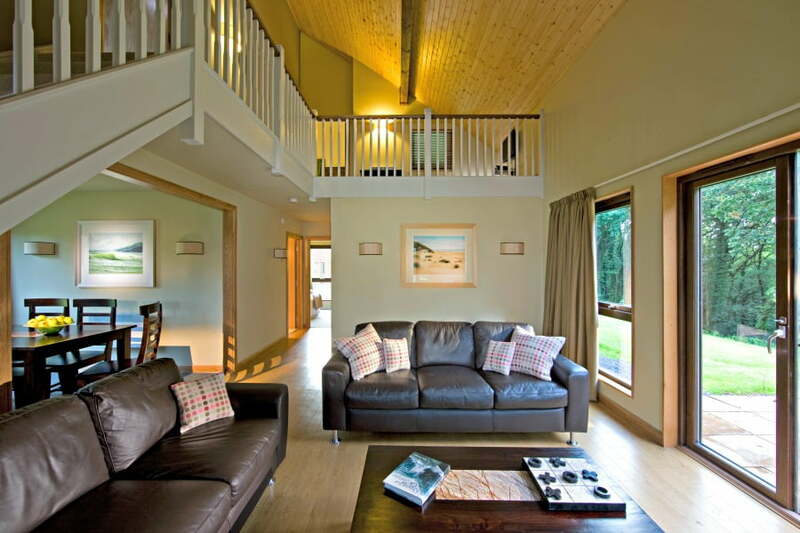 If you want something a bit larger, the Ramsey Lodge has 2 bedrooms (1 double and 1 twin) and also 2 ensuite bathrooms. You can check in at 3pm if you book a Ramsay (compared to 4.30pm for all other lodges). 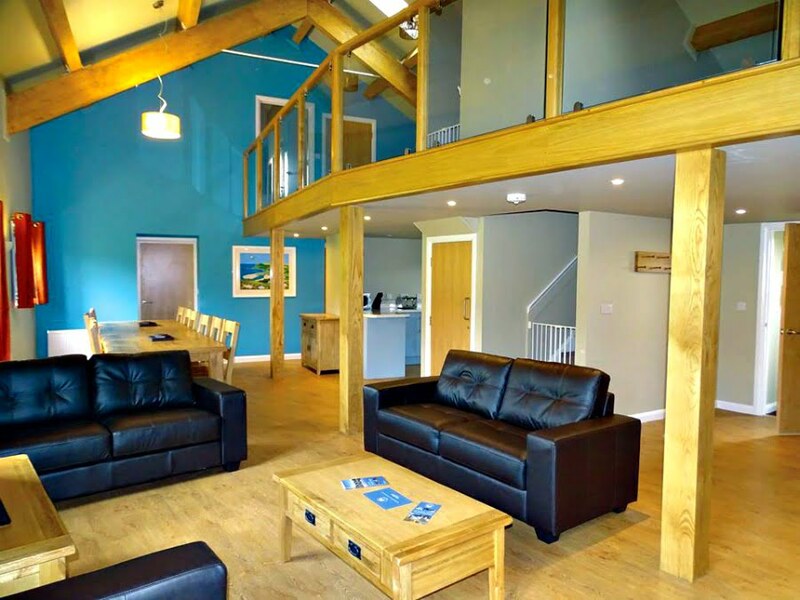 A Skomer Lodge has 3 bedrooms and 3 bathrooms and is detached so it is nice and private. There is also a large balcony area overlooking the main living area, which is good for older kids who might want to chill out and watch TV on their own. The Dinas Lodge and Grassholm Lodge both sleep up to 8 people in 4 bedrooms. The Grassholm Lodge has 3 bedrooms and a 3pm check in. The Saint David’s Lodge has 4 bedrooms and a playroom with a TV, play kitchen, play tent, chalkboard easel and snakes and ladders mat! 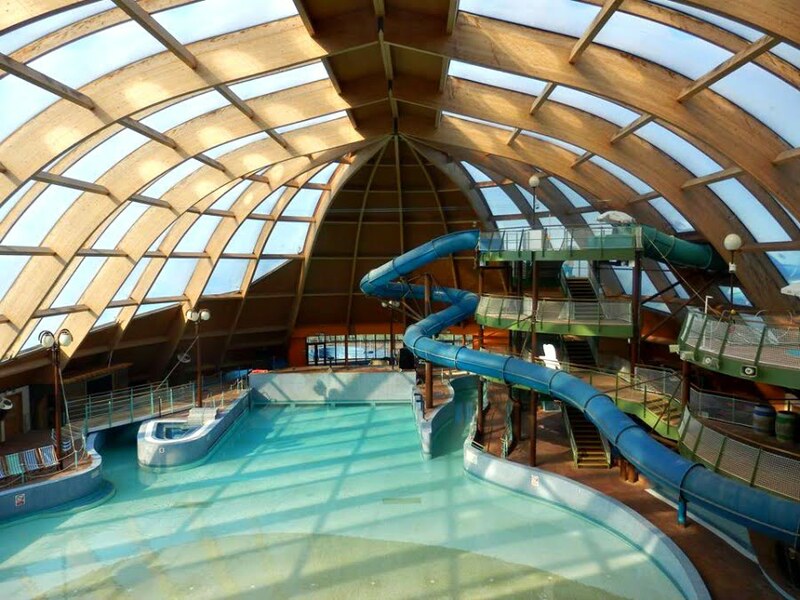 The Blue Lagoon is the name of the indoor tropical water park at Bluestone. Trips to the Blue Lagoon are the highlight of any holiday at Bluestone, and entrance to the waterpark is included in your stay. The complex is open to Bluestone guests only in the morning, but then open to the public in the afternoon. There are different zones for babies and toddlers, a big pool for older children and adults, huge slides, jacuzzis and an outdoor heated pool. The Blue Lagoon isn’t massive but it is fine for toddlers. There is a separate gated corner with a shallow water pool with squirting water, beach balls etc for babies/toddlers to play in. The main pool has a long sloping area leading into it, with a lazy river that goes outside the building – quite nice in the rain. 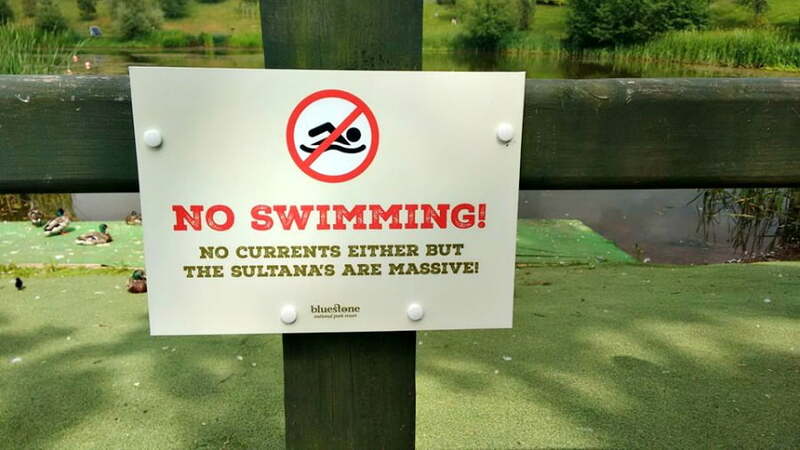 There is a wave machine that goes off every half hour or so – an alarm sounds first so you can get back to the shallow area if you want to avoid the waves. There are a few water slides suitable for older kids. Find out more info about the Blue Lagoon Waterpark here. Recently named Wales’ Spa of the Year, the Well Spa Retreat at Bluestone is the perfect way to unwind. You can book your little one into the crèche for a few hours and head to the spa to relax. The spa has 11 treatment rooms, saunas, steam rooms as well as an ice chamber, dry salt room, gym and hydrotherapy spa pool. The Well Spa offers a number of treatments including facials, massages, body wraps, and therapies for men and teens. All treatments that last 50 minutes or longer include 2hr Thermal Entry in the price (worth £35). The Spa is only for use of Bluestone guests so it doesn’t get too overcrowded. 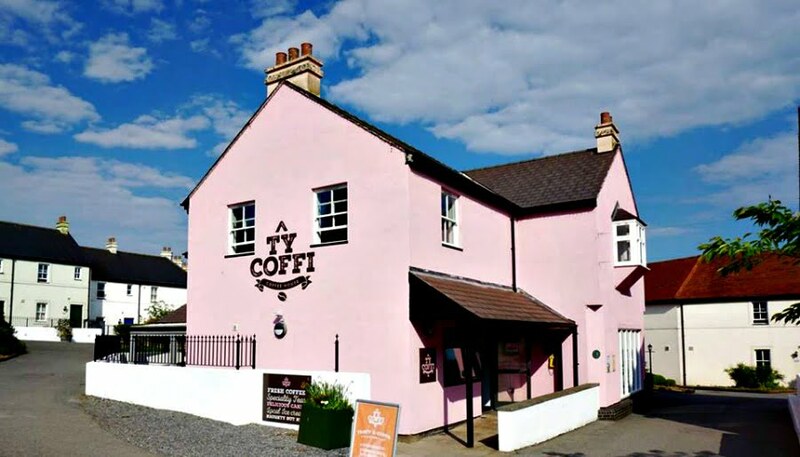 Afternoon Tea is served at Caffi Mor in the Spa at a cost of £7.95 per adult. The Spa does get busy so prebooking is advised. These are some of the best activities for toddlers at Bluestone. These sessions are correct as of February 2017, but check out this page for the most up to date list of activities. You have to pay extra for some of these activities. This 3 hour themed crèche session is perfect for babies and toddlers aged 0-3. The sessions are designed to encourage imagination and creativity, and there are characters to play with. The crèche is unsupervised so you can grab a bit of me time at the Spa whilst your little one is having fun. A snack is included. In this 1 hour session, the adventurers head out to explore Bluestone looking for wiggly worms and mini beasts – all under the close supervision of a Woodland Ranger. This 45 minute puppet show gives toddlers the opportunity to meet Tawny the Owl and go on an adventure with him – perfect for little ones who love storytelling. This exploratory session is about finding out what lives in the Bluestone Lake. Toddlers can use their own net and scrape the bed of the lake to find signs of life. Go on an adventure to learn about fairies and hobbits, and collect magic dust to take away and grow your own Fairy or Hobbit Village. 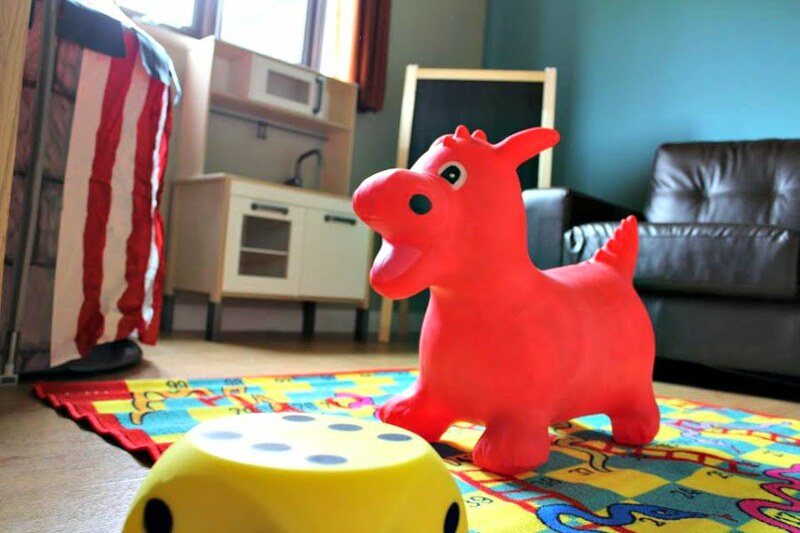 A great session to get your toddler’s imagination going! Create puppets and put on a show with help from Lola the Ladybird. Get creative with nature. Toddlers can make leaf prints, do weaving, make flower decorations or even do pebble painting. This 1 hour session has music, singing and baby signing all in a cozy, safe environment. Baby Well Being is designed for babies aged 8 weeks to 9 months. Learn how to massage your baby to promote and help with their health by relieving stress and tension, as well as soothing them and helping them to relax. A lovely way to spend time with you baby learning how to do baby yoga with them. This class is for beginners so you don’t have to have any previous experience of baby yoga. The Adventure Centre is the hub of activity at Bluestone. It is perfect for toddlers to let off a bit of steam when the weather isn’t very good, and entry to the Adventure Centre is included in the cost of your stay. Toddlers will love the ball pool, lego, den and soft play. There is also a café and free WIFI. Meet the Woody Wild characters for fun and games. This free activity hour is fab for toddlers who want to get involved in singing, dancing and games. The Circus Zone is a separate area in the Adventure Centre specifically for under 5 year olds. There are mirrors, bubble tubes, tunnels, slides, puzzles and of course lots of circus animals. There are also lots of comfy settees around the edge, newspapers and free WIFI. Toddlers will love playing in water, or painting in the messy play sessions. In the centre of the village is a huge adventure treehouse for big kids to play on. It has tunnels, ‘wobbly’ bridges and lots of little treehouse platforms for your children to explore. There is also a Treetots playground for the very young. There is loads of evening entertainment at Bluestone, and you can decide to take part in as much or as little as you want. Evening entertainment includes shows, quizzes, live music and film nights. Pembrokeshire is a beautiful part of the world with loads of places to visit with toddlers and over 243 beaches to explore. I’ve put together a mini guide to Pembrokeshire with babies and toddlers, where you can get loads of really detailed info about toddler friendly days out in Pembrokeshire and the surrounding area. 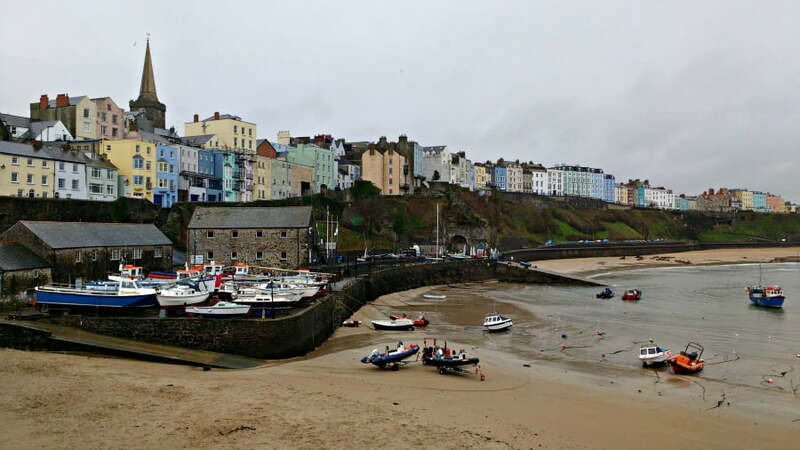 #1 A day out at Tenby – I love this seaside resort with its 3 beaches, RNLI station and cobbled streets – plus it is the jumping off point to Caldey Island. 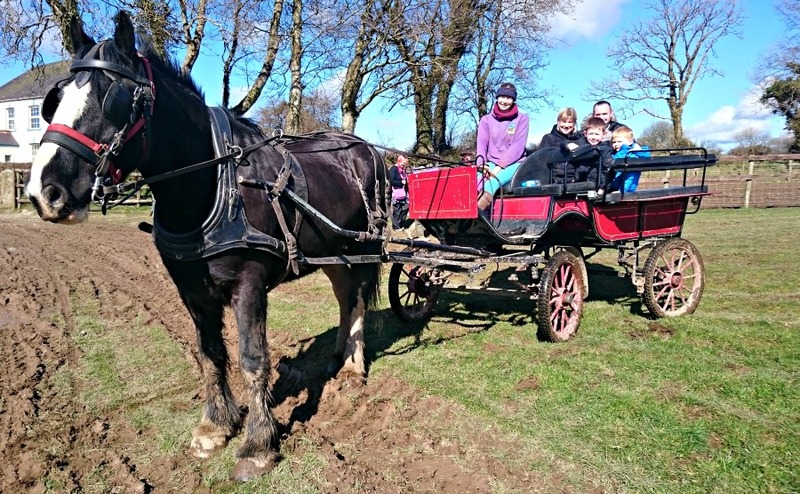 #2 Dyfed Shire Horse Farm – another fantastic day out. Meet these gentle giants and learn about the history of the farm at this family run farm. 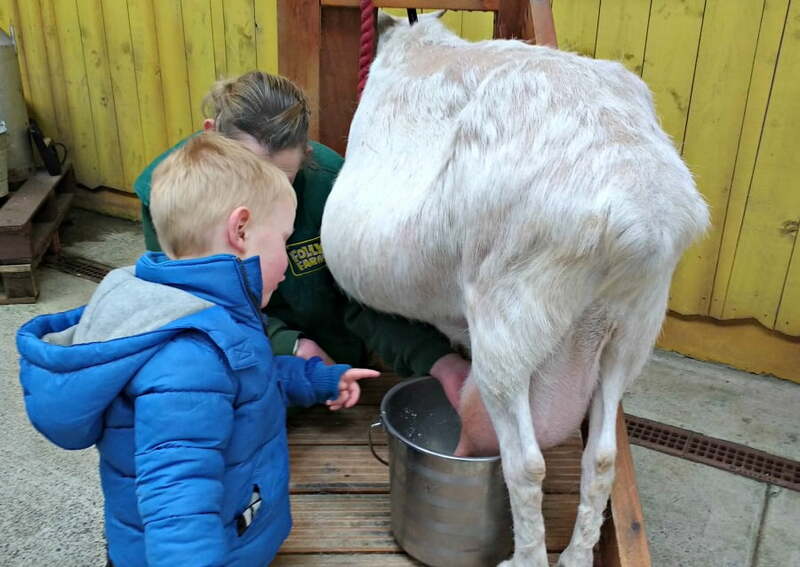 #3 Folly Farm – A farm, zoo, and fairground all in one, plus loads of indoor attractions in case in rains. #4 Tenby Dinosaur Park – a must for dinosaur lovers! There is a local shop in the Village complex where you can pick up all the essentials you will need to cook yourselves. It isn’t possible to order a supermarket shop beforehand and get it delivered to your lodge, but the local shop in the village, Newtons, does do a delivery service if you prebook. 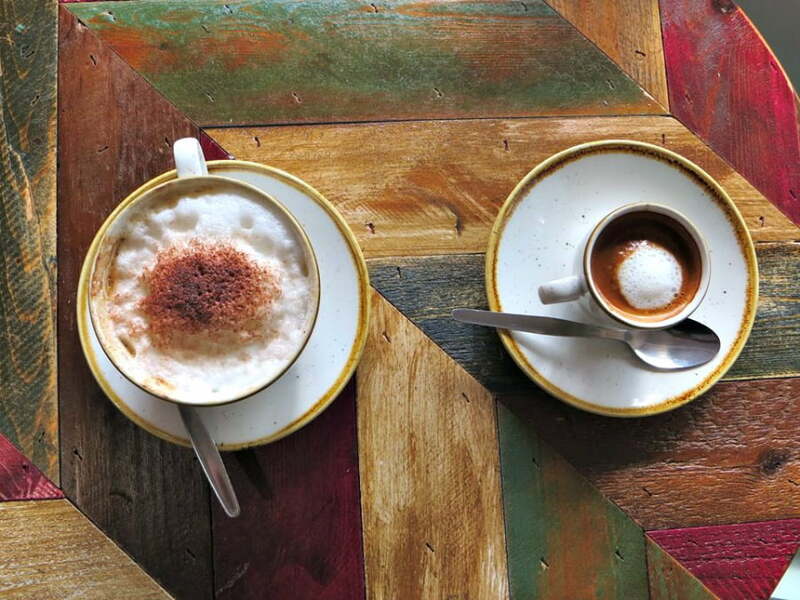 There is also a pub, a family friendly Grill, a romantic Italian restaurant and a coffee shop. Camp Smokey is a unique experience where you can eat bbq food outside in the forest – perfect for a warm summer’s evening. 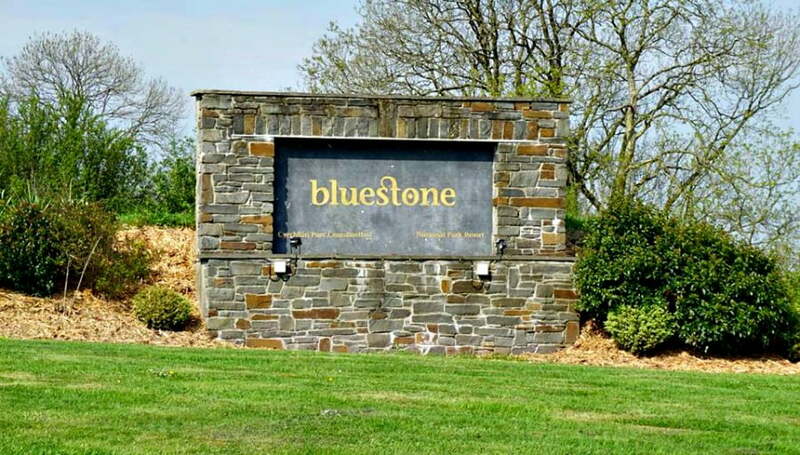 Bluestone is huge, so you need to think about how you will get around when you are there. Golf Buggies are A LOT of fun but a bit pricey at £29 for the day or £80 for the week. Bikes are a good way to get around Bluestone, because cars aren’t allowed on the resort during the week. There are also lots of bike trails around the forest which you can explore. 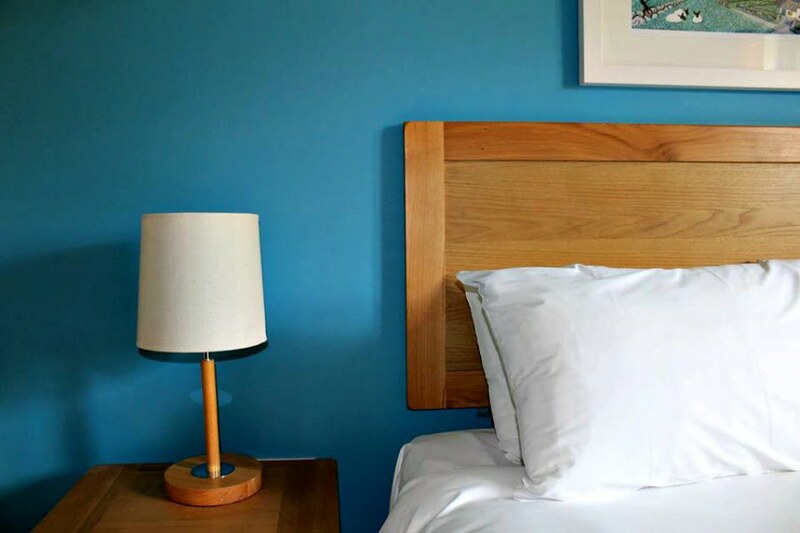 Book online direct with Bluestone and get 10% off. 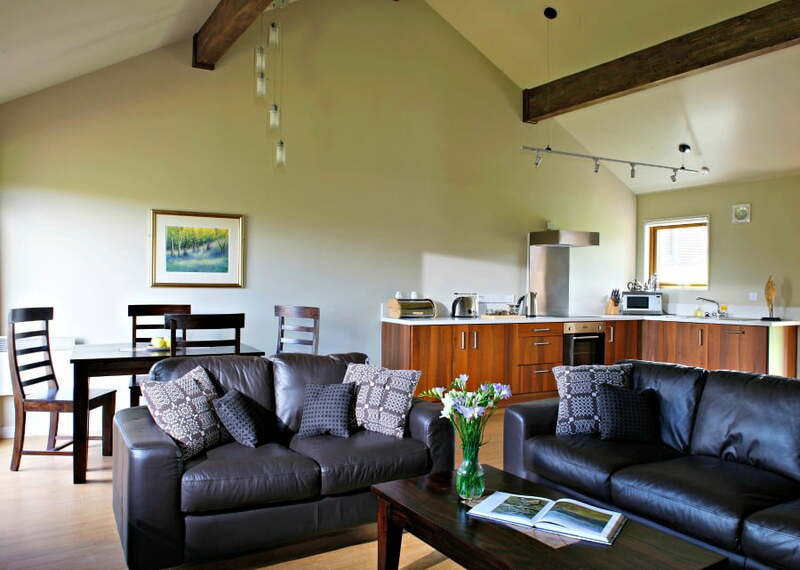 There are also lots of discounts on last minute holidays to Bluestone.